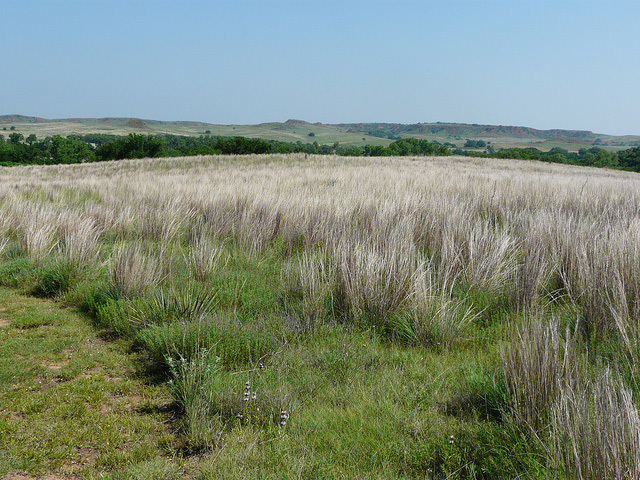 Oklahoma prairie (Washita Battlefield National Historic Site); photo by Jerry on Flickr (noncommercial use permitted with attribution / no derivative works). The unassigned lands of the Oklahoma Territory were opened up to settler claims on April 22, 1889. Thousands of people were in line on the border waiting for the signal to be given so they could race into the territory to claim a stake of land. Some people went in early to stake claims and they became known as "Sooners." According to the Kentucky Historical Society, "The early legal settlers of Oklahoma Territory held a very low opinion of sooners. That began to change by 1908 when the University of Oklahoma adopted the name for its football team. By the 1920s the term no longer carried a negative connotation, and Oklahomans adopted the nickname as a badge of pride and progressivism. Although apparently never officially designated as such by statute or resolution, Oklahoma has since been known as the Sooner State." 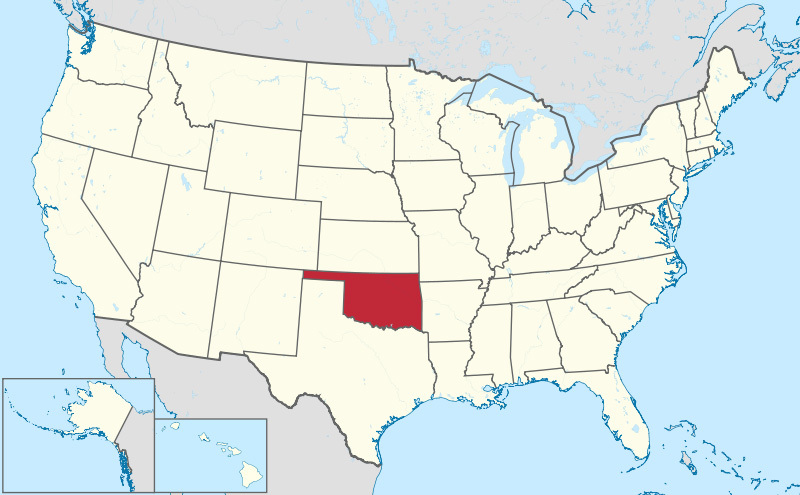 The state of Oklahoma; United States of America. Photo by TUBS/Wikipedia (use permitted with attribution/share alike). Oklahoma population map; 2010 Census. Photo by JimIrwin at en.wikipedia/Wikipedia (use permitted with attribution/share alike).